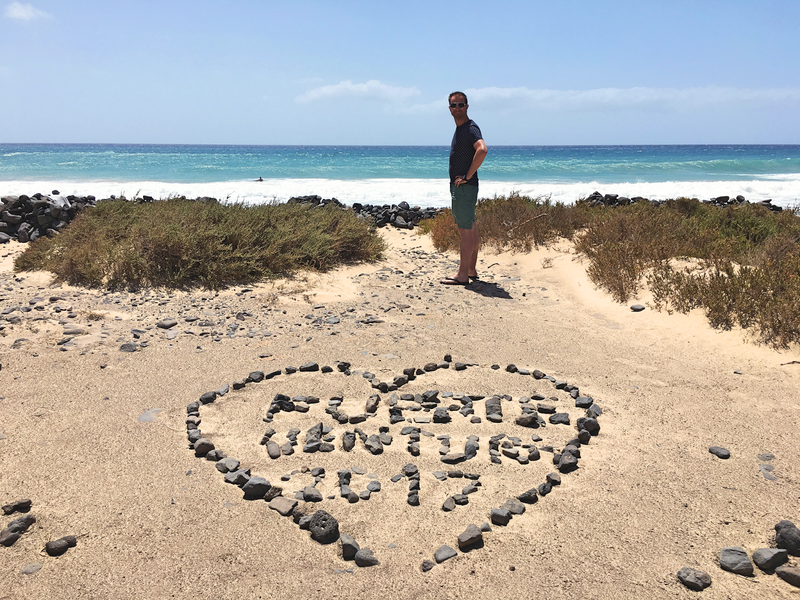 Well, a month later and I finally have some pictures from our trip edited and ready to share with you from our week in Fuerteventura, staying at Magic Life. Starting a new job and enjoying Gentsefeesten have kept me busy these last few weeks! The hotel was in Esquinzo, near Jandia, with beautiful beaches, a great view from our suite and so. much. food. Our first day was all about exploring the hotel, tasting the tapas and walking the beach with glasses of cava in hand (and giggling over what will henceforth be known as nudist castles). Though we only got in the water once (which was also only on our last full day there), walking the sand with my man was just the start we needed for our relaxing week. I can't wait to share the rest of my photos! Expect some more posts in the near future - one featuring goats!